In the beautiful port city of Santiago de Cuba, a small family enterprise purchases a distillery and revolutionizes rum-making on February 4, 1862. The first samples of a smooth, light-bodied spirit - what the world now knows as BACARDÍ premium rum - originated from a humble tin-roof distillery with bats in the rafters. 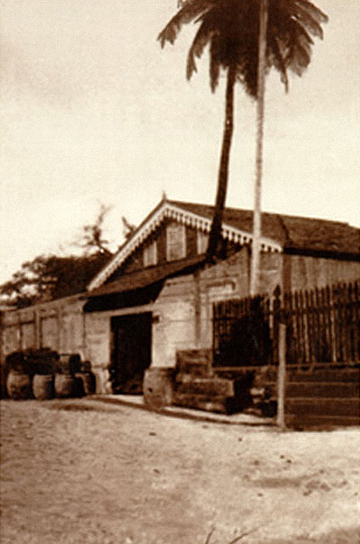 Working with close family members, founder Don Facundo Bacardí Massó pioneered key rum-making techniques, including the isolation of a single strain of yeast from nearby sugarcane fields. This closely guarded ingredient delivers the consistent quality and taste that makes BACARDÍ rums the world’s favorite and is still used today. The new BACARDÍ blends were a delight to Cuban residents who had known only the harsh and fiery local "ron." They welcomed the taste of smooth, mixable rums branded with an elegant and intriguing black bat on the label. It was Don Facundo’s wife, Amalia, who suggested using a bat for the company logo. It was an insightful choice, because according to Cuban and Spanish lore, bats symbolize good health, good fortune and family unity. Soon this revolutionary, smooth-bodied rum became known as "the rum of the bat." Another fascinating Bacardi symbol: El Coco, a coconut palm planted prominently at the opening of the distillery by the founder’s son. As its roots took hold so did a popular legend: "... the Bacardi company will survive in Cuba so long as the coconut palm lives ..."
Facundo continued to perfect his father’s experimentation with the production of rum and created new blends of his own. During the 1890s, Don Facundo’s third son, Jose, opened a sales office in the city of Havana. The unique, light balance of BACARDÍ rum inspired simple, thirst-quenching mixers to combat the Caribbean heat. An American engineer working in Cuba invented the BACARDÍ Daiquiri in 1898. He offered it as a refreshing treat for his copper-mining crews, using fresh-squeezed local lime juice, sugar, shaved ice and BACARDÍ Superior rum. These and other popular BACARDÍ rum cocktails helped the Company flourish. In 1910, Bacardi became Cuba’s first multinational company, opening a facility in Barcelona, Spain and, soon after, another in New York City. By the 1930s, Bacardi owned facilities in Mexico and Cataño, Puerto Rico — now the largest premium rum distillery in the world. When the U.S. Congress banned the manufacture, sale and consumption of alcohol in 1928, the Company had to shutter its New York bottling plant. But Bacardi did not view Prohibition as defeat. Instead, it kicked off an innovative campaign promoting Cuba as an enticing, tropical island escape from the drinking restrictions back in the USA. Tantalizing postcards illustrating the allure of Havana nightlife and BACARDÍ rum cocktails were mailed out. And a major airline ad encouraged U.S. customers to "Fly to Cuba and Bathe in BACARDÍ rum." The strategy paid off. American tourists flocked to the lively Havana bar scene. One of Cuba’s first skyscrapers, Edificio Bacardi, opened its elegant black-and-gold art deco bar to celebrities and entertainers and even the Spanish royal family. As the family and Company name became more prominent, protecting it was a matter of honor, pride and survival. In 1936, the Company won a landmark lawsuit against New York bars that were substituting other rum to make BACARDÍ cocktails. A State Supreme Court ruled a BACARDÍ cocktail must be made with BACARDÍ. Today, when a customer orders, for example, a BACARDÍ Piña Colada, by law, it must be served only with BACARDÍ rum. Forced out of its homeland, Bacardi courageously carries on. In October 1960, revolutionary government forces illegally confiscated all Company assets in Cuba - a devastating heartache for a business just shy of its 100th anniversary. Soon after, El Coco, the coconut palm - planted 98 years ago outside the Santiago de Cuba distillery - withered and died. It is a dark and painful chapter - but also serves as a testament to the resilience, strength and spirit that define Bacardi. 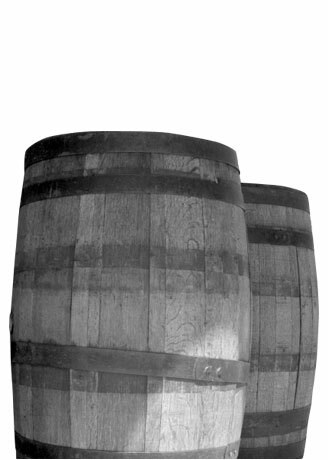 The Company exhibited keen foresight, having already moved its trademarks and yeast strain out of Cuba for safekeeping. It also had an established multi-national presence and continued operations from several other countries. These bold decisions ensured the survival - and future success - of the Company and BACARDÍ rum. Bacardi surges ahead as the top-seller of premium rums - and the world’s leading spirits. 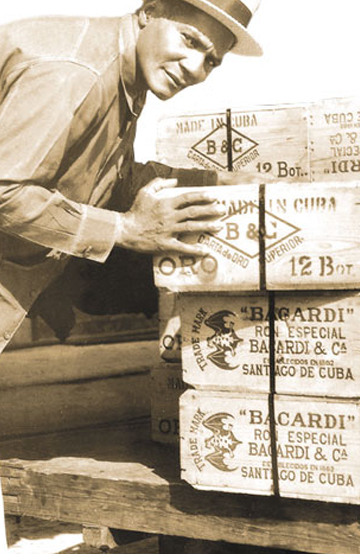 Shortly after the Cuban Revolution, Bacardi established a base in Bermuda. This strategic move served as a geographical bridge between Europe, where Bacardi targeted growth, and the U.S., where it was already established. The Company then began a period of spectacular achievement. For more than 130 years, Bacardi was a one-brand company, specializing in the world’s best-selling premium rums. Then the Company dramatically broadened its scope across the spirits industry, becoming the largest privately held spirits company in the world. When Bacardi purchased the MARTINI & ROSSI group in 1993, the Company doubled in size, added brands and secured powerful distribution channels overseas. More successful acquisitions followed, including DEWAR’S Blended Scotch whisky, BOMBAY SAPPHIRE gin, GREY GOOSE vodka and CAZADORES 100% blue agave tequila. Bacardi also has a stake in LEBLON Brazilian cachaça and in the parent company of Patrón tequila. Other standouts: the launch of the BACARDÍ BREEZER and BACARDÍ LIMÓN, two of the most successful new brands of all time. At 150 years the vibrant Bacardi journey of innovation, perseverance and success moves ahead. This luxury brand portfolio with authenticity and staying power positions Bacardi for an even more prosperous future. The Company is poised for more key acquisitions, achievements in innovation and is active in emerging markets including Russia, India, China, Brazil, Eastern Europe, the Middle East and Africa. Visit any bar, club or restaurant - almost anywhere in the world - and the Bacardi stamp on the spirits industry is crystal clear. Legendary BACARDÍ rum cocktails are more popular than ever. 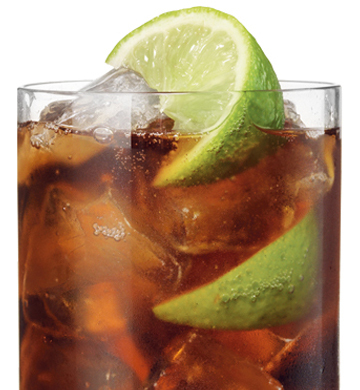 More than 6 million Original BACARDÍ Cuba Libre cocktails are enjoyed every day around the world. From humble beginnings in Santiago de Cuba, Bacardi created the first mixable rum, launched an entire cocktail culture and emerged as the world’s largest privately held spirits company. The Bacardi culture embraces a bold entrepreneurial spirit, valuing success but also rising up to challenges. 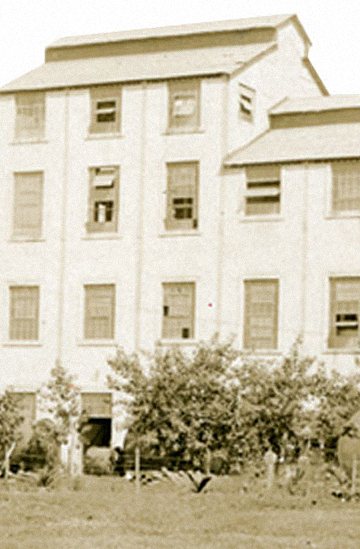 Our 150-year history is etched against the backdrop of war, earthquakes, epidemic disease, U.S. Prohibition, the Cuban Revolution and illegal confiscation of our Cuban assets. Bacardi leaders consistently overcame adversities to emerge stronger, gradually positioning the Company as a successful, multinational leader across the global spirits industry. Bacardi holds its heritage close to the heart and takes great pride in reaching its 150th anniversary, a milestone few companies ever reach. "Here’s to the next 150 years of Bacardi bringing people together!"